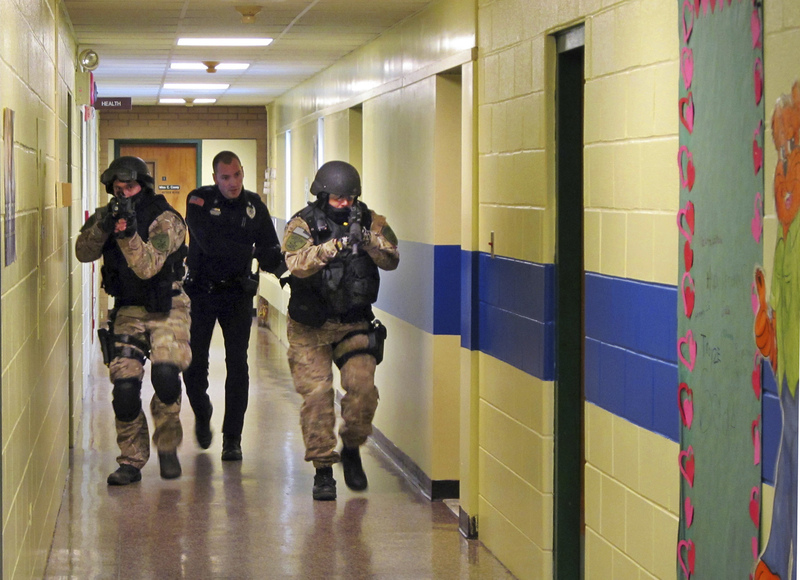 Buffalo, NY - Long before an ex-student opened fire on his former classmates in Parkland, Florida, many school districts conducted regular shooting drills — exercises that sometimes included simulated gunfire and blood and often happened with no warning that the attack wasn’t real. Parents instead should question whether Americans should have hundreds of millions of guns and how Australians seem to be able to survive without any guns at all and how it feels for an Australian to know that when he goes for a walk, or on the subway, that there is zero chance of him being shot to death. Go back and learn about the american revolution. It might help you to understand the origin of this county. How we are different then other countries. we had fire drills when I was a kid and no one went nuts from it, but there was no fires. Drills are important, even today. Yes I know all about it. And that was 250 years ago. So you are telling me that the violent gangs in Chicago that kill ten innocent people every single day are going to save the USA when the UK attacks. "To me, this just seems like an indirect admission on the part of the schools that they really have no control over who gets into the building, and the school security officer isn’t enough to keep the place safe so we need to hold the kids accountable for doing it,” she said." No, it's not accountable, it's empowering. Properly done, ALICE training gives individuals some knowledge and skills that they can use. Bad things happen and until and unless our schools become fortresses guarded with layers of security, scanners, and checking each person who comes in, the reality is that we aren't 100% safe. The best weapon in these so-called shooting drills, is to have a firearm to shoot back at any psycho gunman, to even out the playing field. Regarding Australia, their streets are not as safe as the Aussies would have people believe. Aussie has admitted a lot of Muslims. One recently killed an Israeli girl, who was studying abroad. What's wrong with you. One psychotic guy on drugs kills a random girl proves that Australia is not safer than America where there is a mass shooting every day. Good thinking. To #7- The criminal who killed the Israeli girl was not a "psychotic guy on drugs". He raped the girl, then murdered her. Also, there are no mass shootings EVERY DAY, in the USA. Most of the daily shootings are single fatalities, and not multiple fatalities. You really think that a civilian being shot at in a chaotic situation is going to hit the gunman and ONLY the gunman? And not to be shot himself by the nearby swat team who will think HE is the bad buy? "An unnamed friend told the paper, "As high school started he became a little bit depressed, a bit troubled and a bit into the drugs," she said. "Most of his depression was because of his family stuff, he didn't have much family around at all. Just his sister, they were very close."" Google "mass shootings" and you will see there were 323 mass shootings in the USA in 2018, almost one per day. I don't understand how you can defend guns. 5 dead today in Polk County Texas. There would be none dead if you ban guns like Australia.